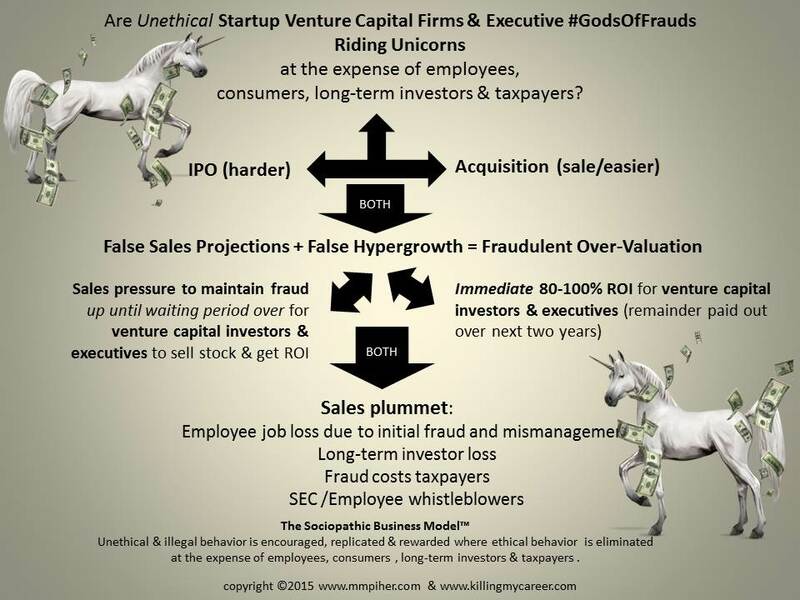 The fraud formula for why venture capital funded startups are underperforming post IPO or acquisition. 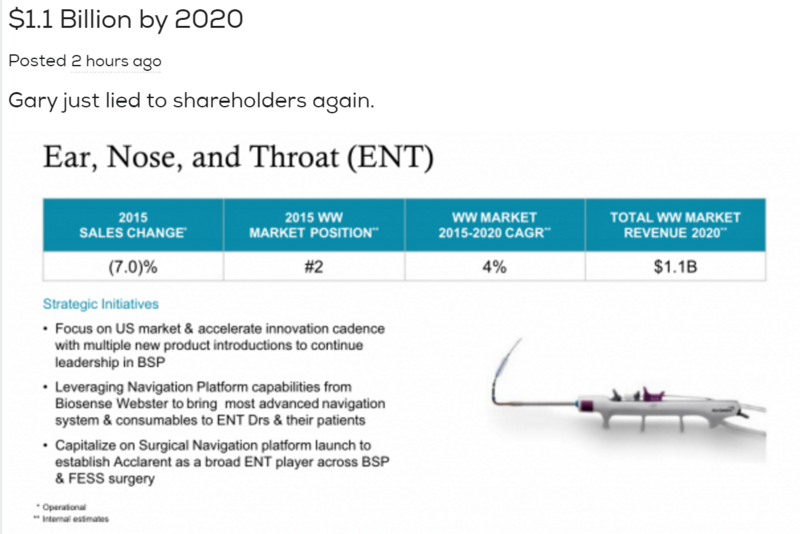 Shareholders may want to hang on to this slide about the Johnson & Johnson’s Ethicon’s Acclarent, as it seems JNJ Executive Gary Pruden is really putting NEA general partner, ExploraMed founder, Acclarent Co-Founder Josh Makower’s The Art Of Innovation, which is linked to federal healthcare fraud, to the test. SEC & JNJ Shareholders might have interest in this slide. Ohh or the manipulation of facts. Did Johnson & Johnson executives really just tell shareholders that medical device under-penetration of the market is the problem? Nope, notoriously, knowingly and willingly purchasing medical device fraud is the problem. False projections to give the appearance of hypergrowth is not a sustainable sales model, it’s fraud. The site under The Sociopathic Business Model™ often states that fraud costs employees their jobs, consumers & patients their health or lives, and investors or shareholders billions. A point, not lost on activist investor Daniel O’Keefe of Artisan Partners, who notes Johnson & Johnson’s ROI on the $150 billion spent on medical device acquisitions isn’t generating profit growth and costing the company in the public image and legal department. The concept that O’Keefe, as an investor in Johnson & Johnson, dances around but never says is that Johnson & Johnson does not know the difference between a pharmaceutical business model and medical device business model, especially as it relates to the company’s many frauds, and it will continue to cost the company and shareholders. 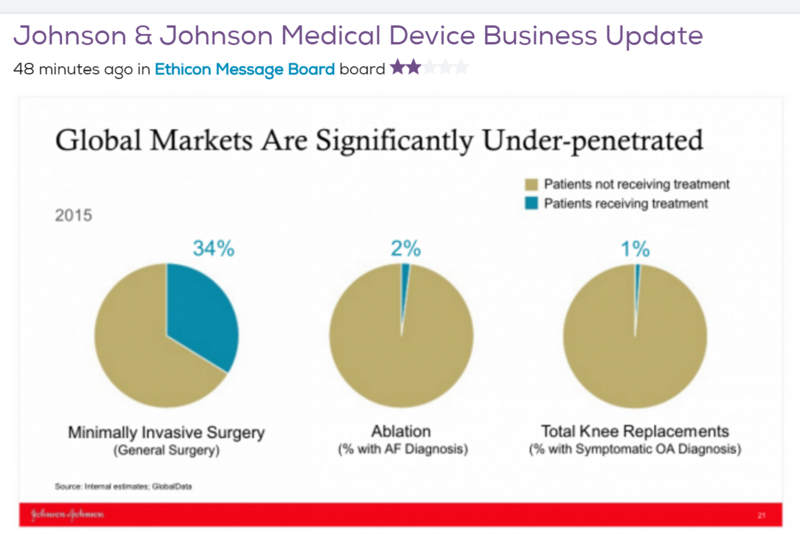 Bottom line, venture capital fraud in startup medical devices is killing Johnson & Johnson. All O’Keefe really needs to unseat Johnson & Johnson Worldwide President & CEO Alex Gorsky and his $25 million a year compensation is right HERE. You’re welcome and I’m available if you should need a consultant for a Board presentation. More coming out by the month. As you speculated, a disgruntled former employee told the UK’s Daily Telegraph that the Cobalt/Chromium alloy ASR Hip Implant components were measured by Quality Control at different temperatures. Any junior grade child knows about the contraction and expansion of metal. So if the ball is measured at a higher temperature than the cup then there will be anomolies in the friction of the joint. Right on, Derek . . . we’ve all been poisoned by cobalt and Chromium (I have developed chemically activated Multiple Sclerosis from a Smith & Nephew Hip Resurfacing . . . just like Johnson&Johnson and all Metal-on-Metal contraptions . . . they are slow killing all of us, making sure we pass our statute of limitations before we start having the many seizures and vertigo and spasticity and a head plugged into an electric socket . 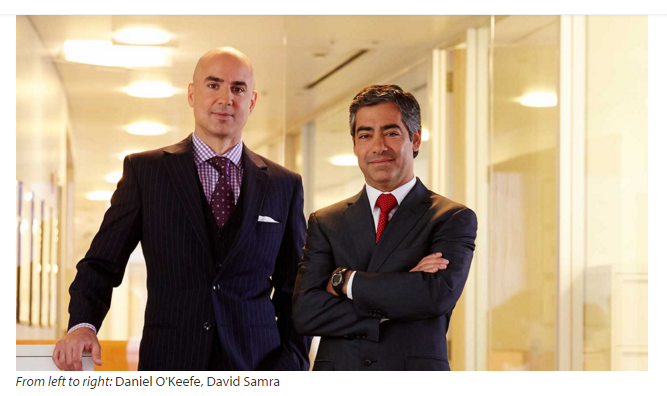 . . all thanks to these well-suited guys above who have to poop just like we do. They belong in jail.